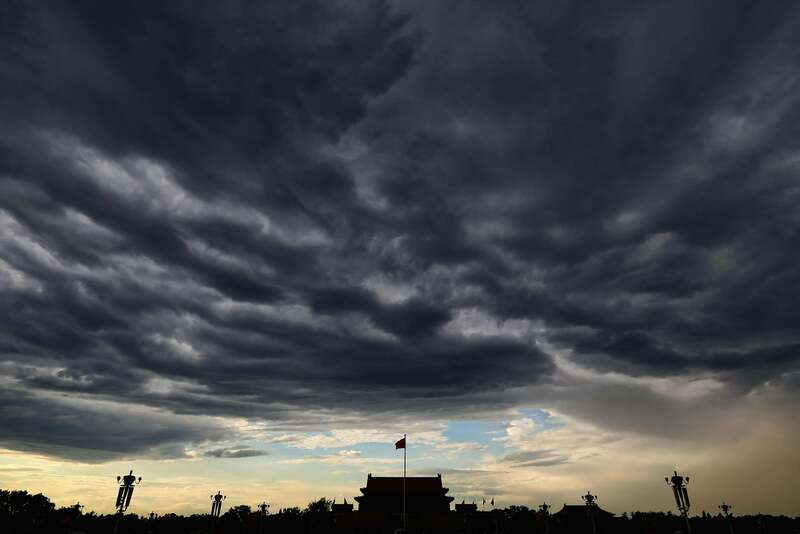 China bans unofficial weather reports. China would like to inform you the weather for this photo taken at Tiananmen Square is sunny and 70 degrees. This just in: There is no truth to the rumor (started here) that China banned amateur weather predictions out of sheer boredom this week. In China you are still allowed to talk about the weather and, perhaps, complain about the weather, but prognosticating about the weather is about to be a no-no and against the law. The regulation, which goes into effect Friday, covers any weather predictions involving “clouds, wind direction, wind speed, air temperature, humidity levels” as well as visibility and more. Those who distribute false or manipulated weather information and “create a negative impact on society” with such reports are liable to be fined as much as 50,000 yuan (around $8,000). The primary “impact on society” of a fake weather report is sadness. You thought it was going to be clear and sunny so you were happy, but then it turns out your online weather guru of choice was actually a panda. The second most common impact of bad meteorology is annoyance. Even a panda wouldn’t have worn shorts in this weather. There are, of course, real consequences to erroneous weather reports during natural disasters. From the Journal: “The state-run tabloid Global Times said that false information suggesting a super typhoon would hit Fujian province went viral earlier this year in the run-up to the country’s tomb-sweeping holiday, leading some residents to needlessly jettison their travel plans.” Jettisoning their travel plans? There has to be a better example. I will update this post with better examples as soon as China gets back to me with some.